I was woken up at 6:30 to start my three-hour glucose tolerance test. I hadn’t been allowed food for twelve hours (no biggie) but I hadn’t been allowed any liquids since 11 pm last night. 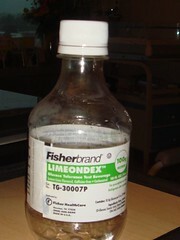 My mouth was sooooo dry by the time my nurse brought my sugar drink. First, she took a vial of blood so they could test my fasting blood sugar levels. Then I pounded the drink, which tasted like sprite, but warmer, thicker, and with less carbonation. At 7:30, 8:30, and 9:30, my nurses came back and drew more vials of blood. I ended up with four lovely puncture marks on my right arm, flanking the bruise that I got almost two weeks ago from a different blood draw. Good thing I’m not an arm model. The SECOND the last vial of blood was taken, I tore into my breakfast, which had been sitting there since 7:30, mocking me. I also drank an entire glass of water in about three seconds. Because I was so hungry and dehydrated, I was put on a contraction monitor. I had a few contractions but nothing major. At 11:30 my nurse came back with the news. A normal blood sugar level is anything below 120. Mine were in the 160s and 170s. I failed again. 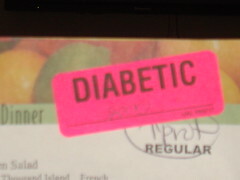 I have The Gestational Diabetes. After that, it was a whirlwind of people in and out of my room – nurses, doctors, nutritionists, you name it. I have to adjust my diet – no sugar, very few carbs, and absolutely nothing fun. Mt blood sugar has to be tested four times a day – when I wake in the morning and an hour after every meal. A nurse comes and pricks one of my fingers, and then we put the blood on a little test strip and run it through a machine. My doctor isn’t that concerned. Because I’ve been in the hospital, we literally caught it right away. 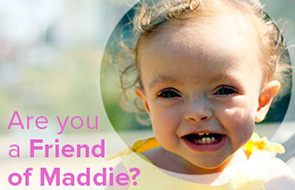 And, since it’s the kind of diabetes that comes with pregnancy, she is confident it will go away after Maddie is born. Still, it’s a pain. Eating during this pregnancy hasn’t been the easiest thing for me, but there were a few things I could always eat that could help me with my calories. All those things are pretty much out!!! No more ice cream, cookies, candy, etc. You know, the things that make life worth living, ha. The hope at the moment is that my diet will be able to control my blood sugar. If not, I’ll need insulin shots. Let’s hope it doesn’t come to that! My new diet starts tomorrow. I’ve had a pretty bad headache all day…actually, I’ve had a headache for the last three days, but in the last few hours it’s gotten worse. So I am going to try to sleep, I promise to email everyone who emailed me today when I am feeling better. I promise you we will have a Sugar Fest once you are out and OK. Complete with Dots, cotton candy and real SODA.